Anyone who thinks that the southern Thai province of Krabi isn’t a great place to visit simply hasn’t been there. The area offers a variety of outdoor activities, such as scuba, trekking, mountain biking, rock climbing, white water rafting, zip lining, golfing, and oh yeah…about 130 islands, of which some have been named the most beautiful beaches in the world. Krabi province is located about three hours away from Phuket by car and is known for stunning geography that features unique rocky outcroppings also known as karsts that appear as if they were pushed up from the core of the earth because the surrounding areas are flat. The area also features tropical rainforests, mangroves and breathtaking beaches. Getting here is simple as Krabi has an international airport. It is a great place to go if you want to explore many of the neighboring islands. The two most popular are Phi Phi Island, which is famous for its surreal, full moon parties and Koh Lanta, which is frequented more by the older crowds and Swedish tourists looking for great beaches but not looking to party like a schoolie. Most people who visit Krabi, spend their time at the nearest beach town, Ao Nang. 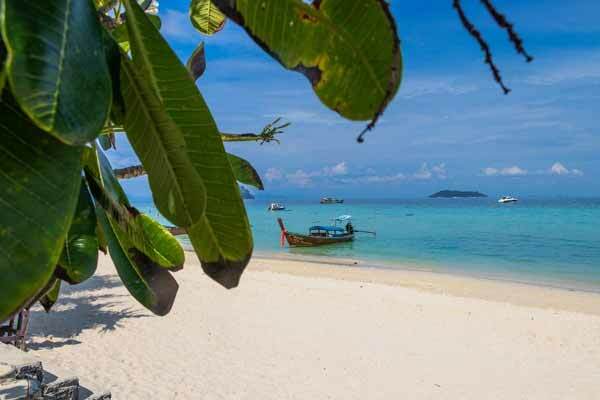 There are scores of islands to explore from Ao Nang typically on day trips as most of these islands have limited accommodation options and even less to do when the sun goes down. You can take water taxis to the islands from $8 to $16 roundtrip; most islands offer bathrooms, showers, food and drinks for sale. If you want to rent a boat and explore multiple islands with a group of friends, it will cost between $60 to $150 a day, depending on your itinerary. Ao Nang has tons of nightlife, varied and tasty international cuisine and lively music venues. It’s an excellent hub for outdoor activity lovers. You can take day trips to rock climb at Railay beach; a half day introductory course starts at $41 which includes your gear, park entrance, roundtrip transportation, equipment rental, guide and a bottle of water. “The introductory class was a blast, I can’t wait to go back and try more challenging routes it was totally worth the money,” said Michael a 57-year-old holidaymaker from Adelaide. My wife Kirsten and I took a day trip to Hong Island with a group which cost $34 per person. The beach had fine white sand and brilliant blue waters and a perfect place to swim and sun bathe. Keep in mind Ao Nang has many tour companies so you can bargain hard with them and they seem to respect you for doing so as long as there is no mean-spiritedness involved. Other adventures in the area include going to the Emerald pool, which is about an hour-and-a-half away. The entrance fee of $7.75 and the one-kilometre walk to the main emerald pool is completely worth it when you see the amazing clear green water. While we were in the neighbourhood, we decided to check out the nearby natural hot spring waterfall for a mere $3.50. The heat diminishes as you descend the natural ponds until you reach the river below which is cool and refreshing. The water is said to have curative powers and I must admit my aching legs felt better after being in the water for a half hour. 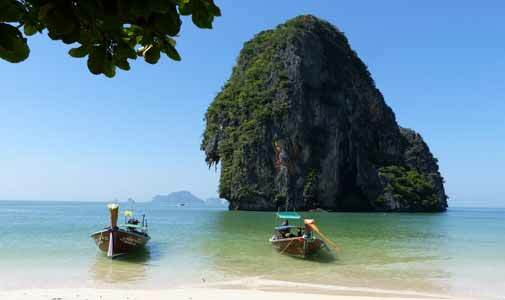 Ao Nang (Krabi) is an excellent place to visit for a holiday or to retire. 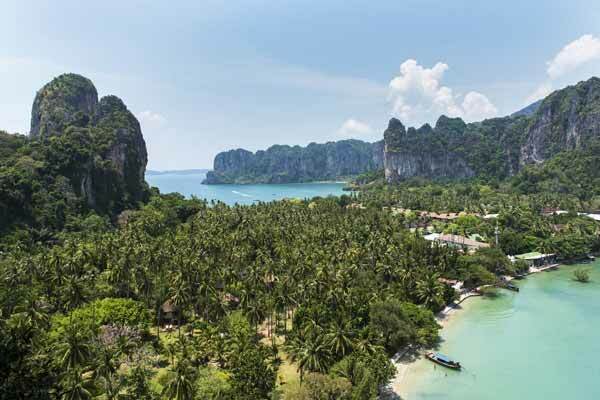 With 17 direct flights from Bangkok a day, in less than two hours you can be enjoying a drink on the stunning beaches of Krabi; it’s easily accessible and easy on the budget too.